Local Sangat from Indore is reporting that the Sri Singh Sabha Indore Gurdwara Management is using local Police to harass and threaten Gursikhs that are protesting the unwarranted interference by the RSS (Rashtriya Swayamsevak Sangh) in the upcoming 350th Parkash Purab Celebrations for Sri Guru Gobind Singh Sahib Ji. 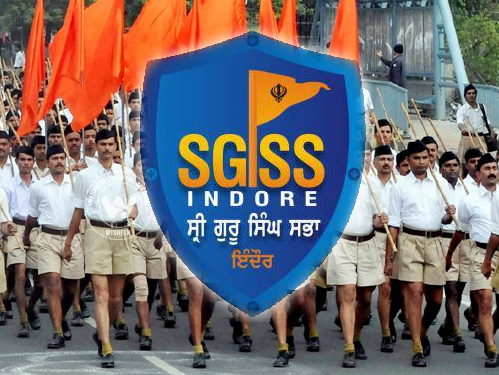 Several Singhs who have protested the RSS interference and their collusion with the Gurdwara management have been detained and harassed by the Indore Police. According to local sevadars, the prime instigators of this episode include Manjit Singh Bhatia (President of Indore Singh Sabha and leader of the regional liquor mafia), and his associates Charanbeer Singh, Jaswant Singh Giani who have threatened and intimidated the Gursikhs by filing false police cases against them and having them held under police custody under false pretexts. It may be noted that these individuals also attempted similar tactics during the 300the annual Vaisakhi celebrations in 1999, and are misusing Gurdwara Sri Singh Sabha Indore property to entertain anti-Sikh outfits such as the Rashtriya Swayamsevak Sangh.